New Delhi, Dec 6: Sri Lanka coach Nic Pothas said on Tuesday that it is frustrating to lose three wickets in the final session of the fourth day with his team battling to avoid defeat in the third and final Test match against India. In the morning session of the fourth day, Sri Lanka were bowled out for 373 in their first innings, conceding a lead of 163 runs to India. Then, India declared their second innings at 246/5, setting a target of 410 for the tourists. Dhananjay De Silva (13 batting) and Angelo Mathews (0 batting) were at the crease when the umpires called it a day, with Sri Lanka trailing by 379 runs. "It is frustrating to be in this position. Obviously it is not ideal to lose three wickets. We are in India playing against a very very good cricket team. We did pretty well in the morning to extend our innings and bowled well at the beginning (of India's second innings)," Pothas told the media at the end of the day's play. "Too much of a coincidence. We lost a wicket with the seam. It was dark and against the spin, we lost two wickets and we are off. So it is frustrating," he added. The coach also praised the Sri Lankan players and said the team did well in a difficult situation. 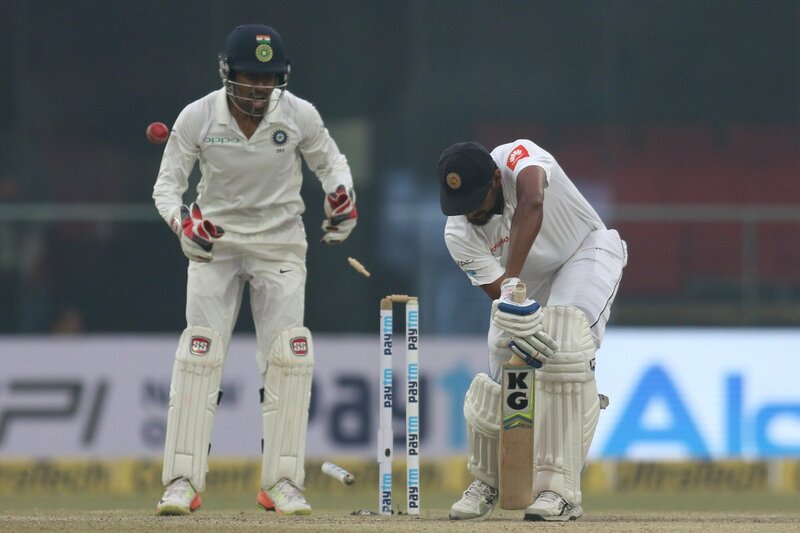 The air quality in the capital was "very poor" on Tuesday which forced Sri Lankan seamer Suranga Lakmal to go off the ground after vomiting. Indian pacer Mohammad Shami was also similarly affected later in the day. "I thought the guys did fantastically well. Shami was struggling today. We made a pact with the team that we are not going to discuss about it. It is what it is. We can't help. But let's just get on with the game," Pothas said. "Some people adapt to situations differently than others. Physiologically everyone is different from each other," he added.